Stainless steel is unbreakable, naturally anti-UV and has a long life span. 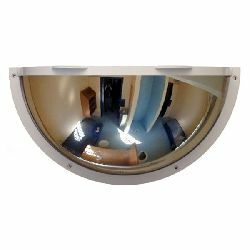 It offers an accurate, clear and undistorted reflected image quality making it ideal for use in demanding mirror applications such as traffic safety and industrial. 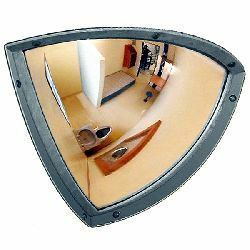 Our range of Stainless Steel Mirrors include round and rectangular Anti-Vandal Mirrors, Traffic Safety Mirrors and Industrial Mirrors, each designed for use in tough and demanding environments. 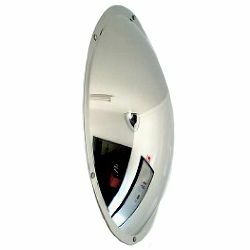 Our Convex Stainless Steel Traffic Mirrors feature a white frame with red retro-reflective strips, to ensure a perfect visibility of the mirror to secure dangerous areas in urban environments, etc. 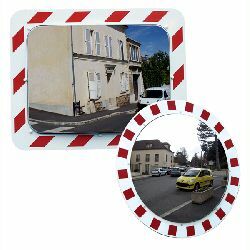 The red & white frame conforms to BS EN 12899-1:2007 standards, while the angle of convexity offers a 90° view at junctions or intersections. 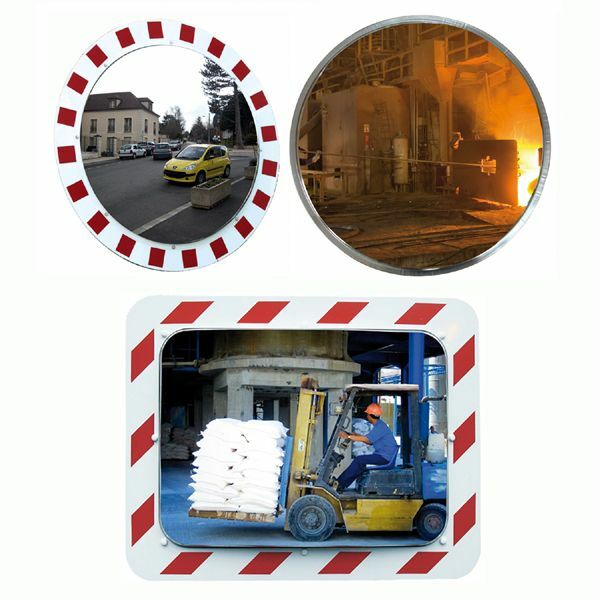 The components are manufactured from galvanised steel to offer weather protection and a long operational life. The kit is fully adjustable for pan and tilt, allowing precise adjustment of the position of the mirror. Note: if mirrors are post-mounted, only steel posts are to be used. 7-year guarantee on mirror, frame & fixings (under normal operating conditions). 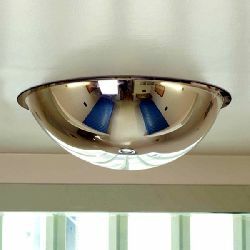 The robustness of Stainless Steel mirrors make them the ideal choice for Institutional use in locations such as Prisons, Psychiatric Facilities, Underground railways, Train and Bus Stations, Underpasses, or anywhere that there is a risk of attack, vandalism or other problems. 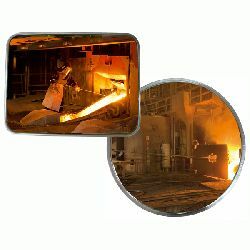 For tough industrial conditions like sites with high heat environments such as smelters or blast furnaces, a stainless steel mirror is the natural choice as plastic based mirrors would be likely to suffer heat distortion, etc. in such extreme environments. 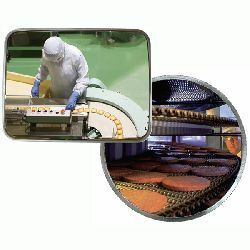 Stainless Steel is also an ideal material choice for use in commercial food preparation areas where a frameless steel mirror minimises areas for dirt to collect and will also withstand heavy duty cleaning without deterioration, minimising the risk of contamination and ensuring total food security. ... Mirrors SM 815, 817 and 829 models are designed specifically for use in food preparation areas and come with a special Nylon Based universal fixing kit.